Northwest Suburban Bar Association "Recommended"
Perfect Bar Association Ratings! 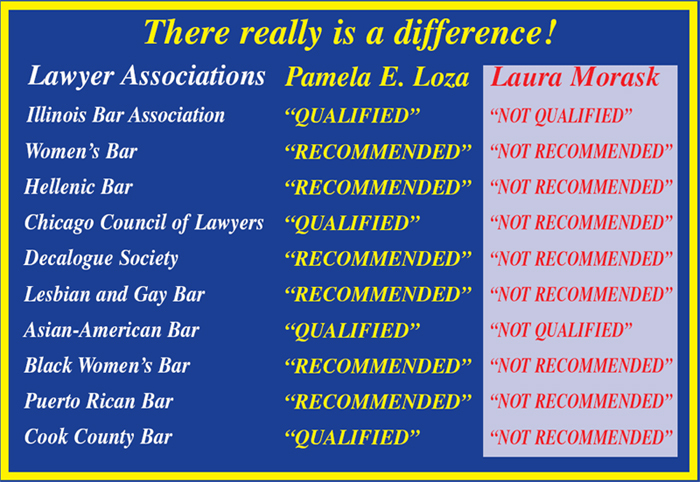 Pamela Elizabeth Loza was rated as qualified or recommended by all 12 Bar Associations. She is the only Judicial Candidate in the 12th Subcircuit race who has earned this high-level, 100% rating. 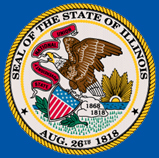 The People of the State of Illinois deserve a qualified, Bar Association: �recommended�, smart, hard working, honest, fair and compassionate person like Pamela E. Loza to serve them in their courts. A community is only as strong and prosperous as its judicial system is fair and efficient. Vote for Pamela E. Loza for Judge on Tuesday November 4, 2008----better judges make better communities! Personally selected by Judges to represent over 100 children in issues of custody and visitation.